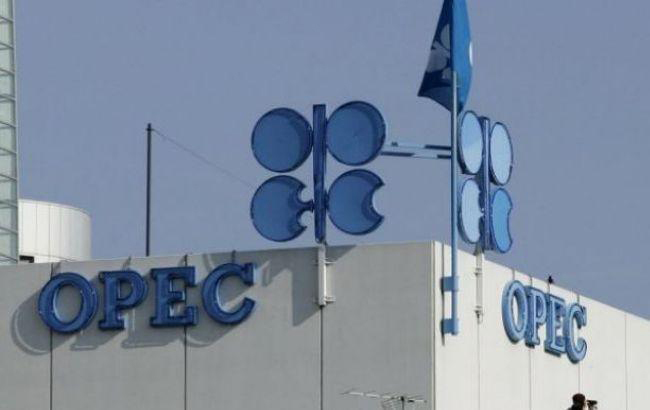 OPEC agreed on Friday on a modest increase in oil production from July after its leader Saudi Arabia persuaded arch-rival Iran to cooperate amid calls from major consumers to help reduce the price of crude and avoid a supply shortage, Reuters reports. Saudi Arabia and Russia said they were happy to pump more but Iran had criticized the idea as it faces export-crippling U.S. sanctions. Iran, OPEC’s third-largest producer, had demanded OPEC reject calls from U.S. President Donald Trump for an increase in oil supply, arguing that Trump had contributed to a recent rise in prices by imposing sanctions on Iran and Venezuela. Trump slapped fresh sanctions on Tehran in May and market watchers expect Iran’s output to drop by a third by the end of 2018. That means the country has little to gain from a deal to raise OPEC output, unlike top oil exporter Saudi Arabia. However, Saudi Energy Minister Khalid al-Falih appears to have convinced his Iranian peer Bijan Zanganeh to support the increase just hours before Friday’s OPEC meeting. OPEC and its allies have since last year been participating in a pact to cut output by 1.8 million bpd. The measure has helped rebalance the market in the past 18 months and lifted oil LCOc1 to around $75 per barrel from as low as $27 in 2016. Brent oil prices were up 1.9 percent LCOc1 on Friday as the output boost had been largely priced in and was seen as modest. “It will be enough for now but not enough for the fourth quarter to address a decline in Iranian and Venezuelan exports,” said Gary Ross, head of global oil analytics at S&P Global. “There isn’t a lot of spare capacity in the world. If we lose a million bpd of output from Venezuela and Iran in the fourth quarter, where will all these barrels come from? We are in for higher prices for longer,” he said. Falih has warned the world could face a supply deficit of up to 1.8 million bpd in the second half of 2018 and that OPEC’s responsibility was to address consumers’ worries. “We want to prevent the shortage and the squeeze that we saw in 2007-2008,” Falih said, referring to a time when oil rallied close to $150 per barrel. OPEC’s deal to release more supply centers on the idea of returning to 100 percent compliance with existing, agreed cuts. Current compliance is around 40-50 percent above target because of production outages in Venezuela, Libya and Angola. Zanganeh has said that if OPEC returned to regular compliance, the group would raise output by around 460,000 bpd. Iran has objected to having members with additional capacity such as Saudi Arabia fill Venezuelan output gaps. Falih also said the real increase for OPEC and non-OPEC would be smaller than the nominal gain of 1 million bpd. He said OPEC could meet again in September to adjust the deal. OPEC sources also said Iran had demanded that U.S. sanctions be mentioned in the group’s post-meeting communique. The United States, which rivals Russia and Saudi Arabia for the position of world No.1 oil producer, is not participating in the current supply pact.